It appears that the Pentagon no longer intends to educate the most talented members of the officer corps to think strategically. ….A new “charter” was subsequently published by the Chairman. It focused the university on joint professional military education and training, which in itself, is a good thing. Immediately, however, the research and outreach activities of the university, often more focused on national strategy than military affairs, came under intense scrutiny. These outfits had grown way beyond their original charters and had become effective and highly regarded servants of a wider interagency community. Much of their work was not done for the joint staff but for OSD Policy, and some of that in conjunction with civilian think-tanks. The research arm of the university was productive, even if not always useful in a practical way to the joint staff. It also was helpful to the colleges in a much more proximate and direct fashion than other think tanks, like RAND. ….The research, gaming, and publications arms of the university — a major part of the big-think, future concepts and policy business here — will be cut to somewhere between half and a third of their original sizes. To make things worse, many of the specific cuts appear to have been crafted in the Pentagon, and nasty emails have come down from on high, about how the university is bankrupt and going into receivership, which was never the judgment of the military and civilian accrediting officials, who inspect us regularly and have generally given the university high marks. If it would be impressive if some of our senior generals had been as effective on the battlefield as they are in the bureaucracy. Uncreative destruction of intellectual seed corn is a bureaucrat’s way of telling everyone to shut up, don’t question and get in line. There’s nothing wrong with having excellence at joint operations as an educational goal for most future brigadiers and major generals but our future theater commanders, combatant commanders, service chiefs and their respective staff officers need something more – they need strategy. More importantly, the Secretary of Defense, the President, the Congress and the American people need the DoD to have an in-house capacity to generate deeply thought strategic alternatives, question assumptions and red-team any self-aggrandizing options the services or bureaucracy feel like offering up in a crisis. The motivation here is simple, really. If you put out all the strategic eyes of the Pentagon, then the one-eyed men can be King. Or he can always contract out his strategic thinking to highly paid friends to tell him what he wishes to hear. Naturally, this will have bad effects downstream in a superpower whose civilian leadership seldom has as good a grasp of geopolitics and the fundamentals of classical strategy as they do of law or the partisan politics of running for office. They will be in need of sound strategic advice from uniformed military leaders and they will be much less likely to get it. Instead, they will have senior officers who are less likely to balk when the President’s back-home fixer turned “adviser” or superstar academic with delusions of grandeur pushes a half-baked plan at an NSC meeting to “do something”. When that happens, the jackasses kicking down this particular barn will have long-since retired and cashed out with consultancies and sinecures on boards of directors. While a lack of strategic thinking can undermine even a lavishly funded and well-trained military, the reverse is also true; strategic leadership can revive an army that is but a half-dead corpse. After WWI the two states that made the most extreme cuts in military power were defeated Germany and the victorious United States. 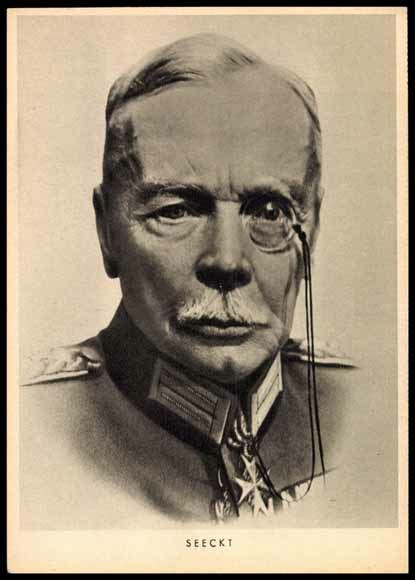 Germany was forced to do so by Versailles, but responded by opting under General von Seeckt to reduce to 100,000 men by making the Reichswehr a qualitatively superior nucleus of a future expanded German Army. Prohibited from having mass, the Germans opted for class with every long-serving recruit being considered officer material and being superbly trained (even to the extent of covert training and weapons testing jointly with the Red Army deep inside the Soviet Union to evade Allied inspections). Von Seeckt also instituted a shadow general staff office that thought deeply about tactical lessons, operations and strategy for the next war. Without the Reichswehr being what it was it is highly dubious that Hitler could have so rapidly expanded the Wehrmacht into a world-class land fighting force in so few years time. In contrast, the United States radically reduced the size of the regular Army and starved it of weapons, ammunition, gasoline, training and basic supplies. Promotions slowed to a crawl where ancient colonels and elderly majors lingered on active duty and future four and five star generals like Eisenhower, Patton, and Marshall all despaired and contemplated leaving the service. 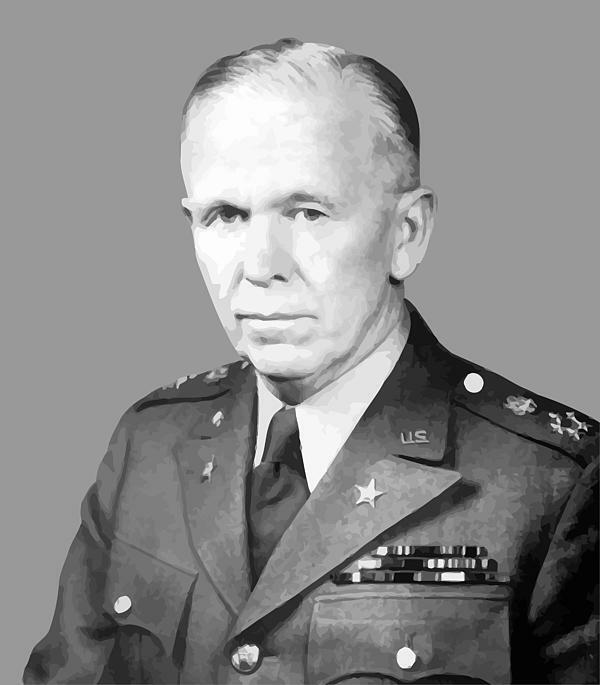 The Army’s – and to extent, America’s – salvation was in the fact that George Marshall persevered as a major and colonel in keeping a little black book of talented, forward thinking, officers and thought deeply and reflectively about building armies, helping enact “the Fort Benning Revolution” in military training. When FDR placed the power in Marshall’s hands as Chief of Staff he knew exactly what to do because he had a well-conceived vision of where the US Army needed to go to meet the national emergency of WWII. He was the American von Seeckt, except that Marshall was an infinite improvement morally, strategically and politically on his German counterpart. We were extremely fortunate to have had him. We may not be as lucky next time.